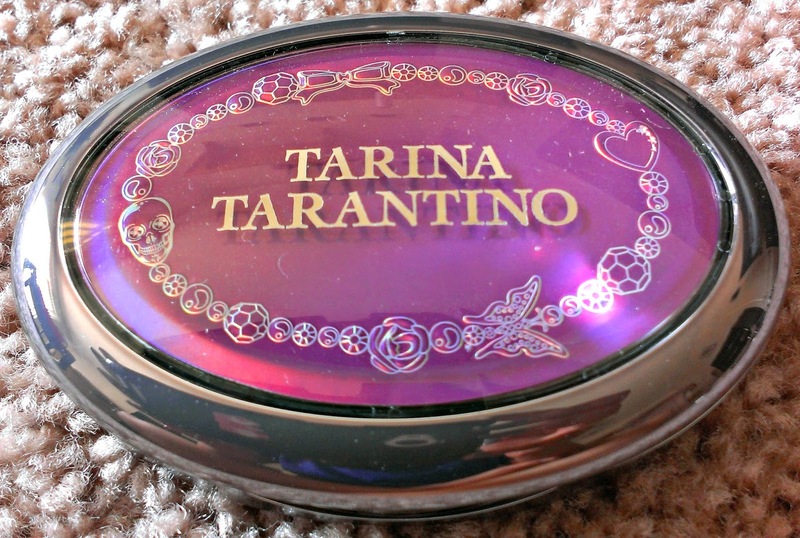 Another Tarina Tarantino Jewel Eyeshadow palette up for review today! I'm not going to beat a frankly quite dead horse - you know by know my love for her shadows and how brilliant I think they are. Let's just jump right on ahead! 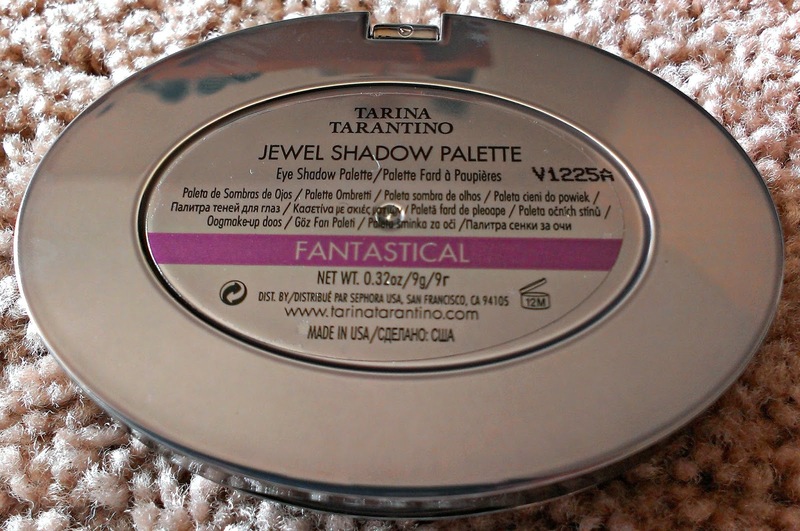 The Jewel Eyeshadow palette in Fantastical houses a set of purple shadow colors that do lean on the cooler side; however I think these shades will work on just about everybody, regardless of undertone. The palette is oval shaped, made of a gunmetal colored metal. The top of the palette has a very pretty purple-pink, jewel-like ornament that is helpful in distinguishing this palette from the rest. The palette is palm sized, and is very sturdy. Both the size, as well as the sturdiness of the packaging make it very suitable for travelling. The inside houses five eyeshadows in neutral shades. Personally, I like the design and the packaging, there is hardly any wasted space. The shadows are also very good sized. 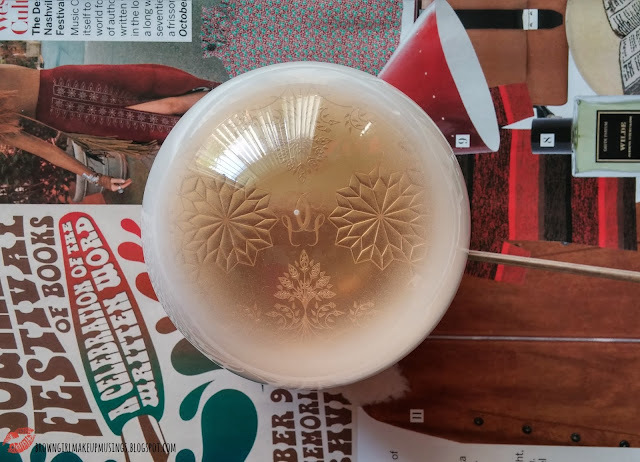 Shadow #1 - this is a shimmery cream-y pale yellow gold. When applied it gives a frosty, almost metallic look. Shadow #2 - this is a shimmery pink-y fuchsia. It is just so gorgeous, and is perfect for the 2014 Pantone Shade of the Year (Radiant Orchid). Shadow #3 - this is a a shimmery mauve with brown and plum undertones. This shade is one of my favorite shades for stand-alone eye looks. Shadow #4 - this is a shimmery pale rose-gold shade. When applied it does look a little frosty. Shade #5 - this is a shimmery deep eggplant with a sort of pink undertone to it. The colors are all very pigmented and just so soft and silky to the touch. They apply smoothly, and blend out easily, with no fading. The color intensity is spot on. The color that you see in the pan is what you'll get on your eyes (some of the shimmers do tend to look frosty, though). I'm a little sad there isn't a matte eyeshadow in this one, like the Delightful palette. In my view this is the only place where the palette is lacking. While it's possible to create looks with this palette, it's would have been so much nicer had they included a matte neutral shade. I always use primer when I apply shadows on my lid, but I never swatch shadows over primer. These last me a good eight hours on my lids - they remain vibrant throughout with minimal fading at the 8th hour. 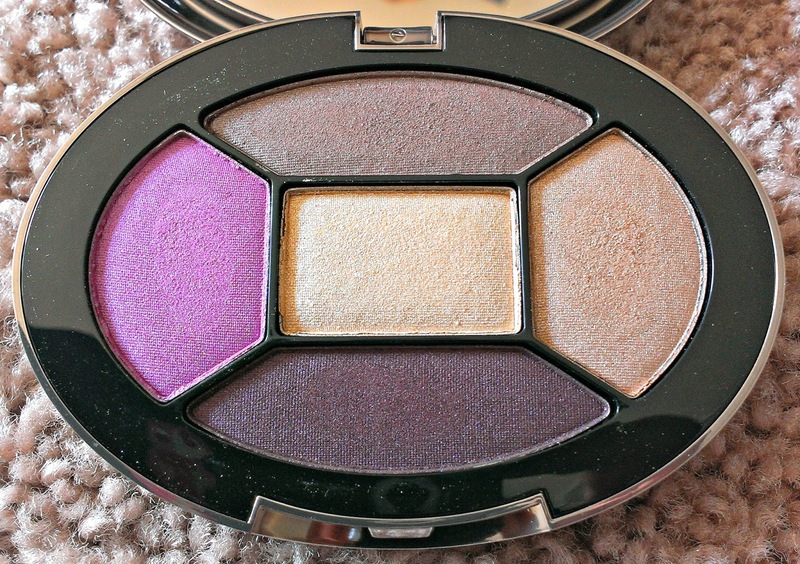 This is definitely my favorite purple-themed palette! 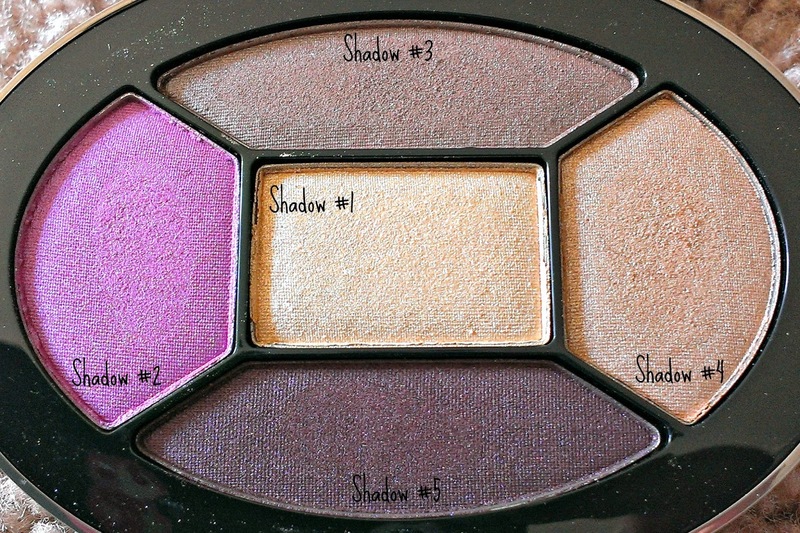 All the shades are so pretty, so pigmented and very easy to work with. Love the little skull in the design on the case lid :-D Shadow 2 is so pretty - reminds me of Psychedelic Sister (?) from UD! Now that you mention it, it does! I have to do a swatch comparison now! Okay, out of curiosity, HOW MANY PALETTES DO YOU OWN? !